Cabinet Secretary for Finance and the Constitution Derek Mackay officially opened the new Brodick Ferry Terminal on Thursday 12 April 2018 following a £30 million infrastructure upgrade project, which has transformed the harbour area. 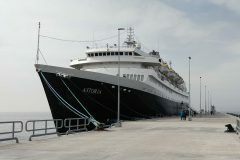 The Minister was joined on the Isle of Arran by Kevin Hobbs, chief executive at Caledonian Maritime Assets Limited (CMAL), which led delivery of the project. The project has created a flagship harbour for the Isle of Arran, one of Scotland’s most popular visitor destinations, and provides 21st century facilities that will boost the local economy and support the thriving island tourist industry. 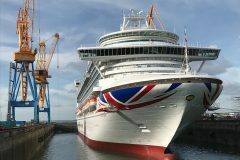 Work to transform the harbour began on site in January 2016 and has delivered a new 110 metre, two-berth pier, designed to accommodate the new dual-fuel vessel, MV Glen Sannox when it enters service, with a dedicated berth for PS Waverley that can accommodate other commercial vessels, including cruise ships. The modern two-storey terminal building houses the ticket office, toilets, harbour staff offices and a 120-seat departure lounge. Outside, there is an increased marshalling area featuring six lanes, offering a combined 895 metres for cars, HGVs and service vehicles; six bus stances with two modern shelters; and parking for up to 65 cars. A firm commitment to sustainability throughout design and construction has led to a ‘very good’ BREEAM rating, an exceptional carbon performance and the top score from the Considerate Constructors Scheme. The new terminal building has photovoltaic roof tiles to generate electricity for the building, a biomass heating system fuelled by locally sourced wood chips, a natural air ventilation system, on-site segregated bicycle routes and storage, and electric vehicle charging points in the parking area. In addition, the majority of dredged and excavated material was re-used in the project as fill for the marshalling area, and excess material was donated to the Brodick Improvement Committee to use in the recovery of Brodick Beach. 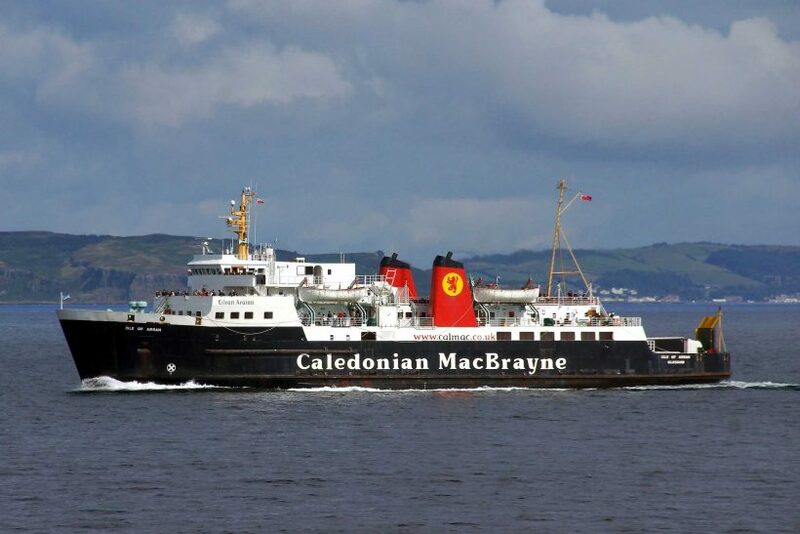 It is the single biggest port infrastructure construction project delivered by CMAL, which received funding support from Transport Scotland, North Ayrshire Council, Strathclyde Partnership for Transport and Coastal Communities Fund to deliver full-scale redevelopment of the island terminal. Kevin Hobbs, chief executive, CMAL said: “The new Brodick Ferry Terminal is a fantastic addition to the island’s transport and tourism infrastructure, offering islanders and visitors a more resilient ferry service and a more comfortable and safer travel experience. “The opening of the new terminal marks a key milestone in our investment programme for Arran. The new ferry for the Ardrossan to Brodick route, MV Glen Sannox, was launched last year and the new terminal will be a fitting, modern home for this innovative vessel when it enters service. In addition, we have recently undertaken several small upgrade schemes at Lochranza, and have planned works during 2018 at both Lochranza and Claonaig.